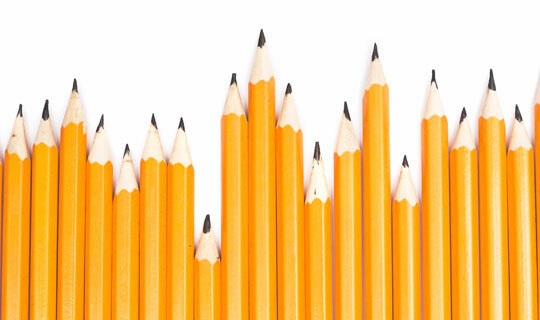 Should Pencils be Recalled For Poisoning or Pollution Reduced? More than 300 children get lead poisoning. Would you A) blame the local chemical plant or B) blame the children for chewing pencils? The former seems the more obvious cause, however a Chinese government official has stated that lead levels found in bloodstreams of children in Hunan that were three times national standards, are caused by chewing pencils. Contrasting reports have mocked this theory, claiming the contamination was actually caused by a local chemical plant. This seems more likely as China’s industrialisation has already seen two thirds of Chinese soil polluted, and 60 percent of underground water classed as too contaminated to drink. Questions have now been raised as to whether his theory is based on pure ignorance or a disregard for public welfare. Scientific studies have proven that lead poisoning is not caused by chewing on a pencil or being stabbed with its point. The so-called “lead” in a pencil is actually harmless graphite, and there is no lead in the paint coating the outside. Lead poisoning is most often caused by eating lead contained in bits of old paint or in dirt that has been contaminated by lead, by breathing lead in the air, or by drinking water from pipes lined or soldered with lead. In this case, the source of pollution is said to be water contamination from the chemical plant. It is advised to read up on products you are using to check if there are any potential threats, and in this case gather the correct information before making false claims. ← Should Soldiers Suffering From PTSD Who Commit A Crime As A Result Be Sentenced?